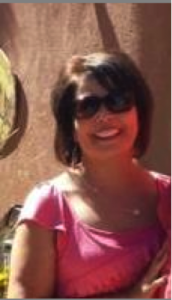 Antoinette Rael was born here in Albuquerque, and raised in the beautiful Pecos Valley of Northern New Mexico. She takes pride in her heritage, having grown up in a rich Hispanic environment where she learned to appreciate the value of family, work and culture. She has many years of experience in banking and administration and has studied Spanish at SFCC. She is married and has 4 daughters, and 6 grandchildren. She enjoys road trips around this beautiful state of Nuevo Mexico.